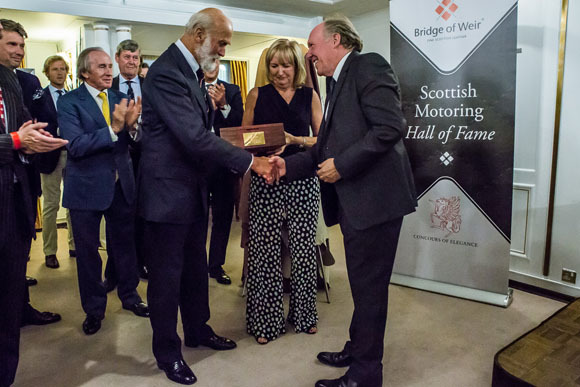 There is now a Scottish Motoring Hall of Fame and it was today that the Association of Scottish Motoring Writers (ASMW), supported by Bridge of Weir Leather Company, publically announced those very first inductees. Awarded during the weekend at a special event at Royal Yacht Britannia in Edinburgh, the event was also linked with this weekend’s Concours of Elegance – a prestigious classic car event, this year being held at the Palace of Holyroodhouse in Edinburgh from the 4th to 6th September. James Clark, Jr. OBE (born March 1936) was a Formula One racing driver from Kilmany, Fife, who won two World Championships (1963 and 1965). At just 32 years of age, he had won more Grand Prix races (25) and achieved more pole positions (33) than any other driver in history. Clark was a versatile driver who competed in sportscars, touring cars and famously in the Indianapolis 500, which he won in 1965, the same year he was crowned Formula One World Champion for the second time. Aged 32, Clark was tragically killed during a Formula Two race at Hockenheim, Germany, in 1968. In 2009, Jim Clark was named as the Greatest Formula One Driver of All Time. Sir John Young ‘Jackie’ Stewart was born in Milton, West Dunbartonshire (June 1939) and went on to become one of the top five ‘Greatest Formula One Drivers of All Time’. Nicknamed the ‘Flying Scot’, he competed in Formula One between 1965 and 1973, during which time is he was crowned World Champion in 1969, 1971 and 1973, and notched up 27 race wins. 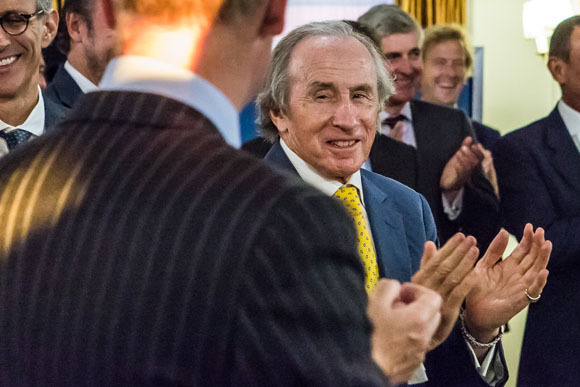 More than any other racing driver, Jackie Stewart has worked tirelessly to revolutionise safety standards with a relentless crusade for circuit and car improvements, and was among the first to pioneer the use of safety belts and full-face helmets. He has also very successfully applied his knowledge to road cars. Outside of motoring Jackie is an avid campaigner and supporter of charities for young people, and in particular for youngsters with dyslexia. Ian Callum (born July 1954), is a car designer from Dumfries. He is Director of Design, Jaguar Cars, a position he has held since 1999, following a number of other high profile design roles in the automotive industry. Aged 14, Callum penned his first attempt at a Jaguar car design, and sent it to the company in the hope of landing a job. He went on to study industrial design and graduated from the Glasgow School of Art, and subsequently from the Royal College of Art in London with a postgraduate Masters degree in vehicle design. Described as among the best British car designers of the 21st century, Ian has received five honorary doctorates from Universities around the world, has been honoured as a Royal Designer for Industry, as an Honorary Fellow of the Royal Institute of British Architects, is a Fellow of the Royal Society of Arts, a Jim Clark Memorial Award Winner, a Drum Designerati Designer of the Year, a Chartered Society of Designers Minerva Medal holder, and a BBC Top Gear ‘Man of the Year’ (2012).